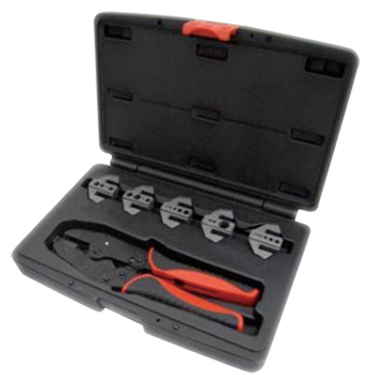 Quick Change 6-Piece Ratchet Crimper Kits is a professional RJ45 crimping tool with 6pcs quick interchangable ratchet type to make your work more convenient and easier to accomplish. NETfinder – Network Cable Tester With Tone Generator & Port Finder is the latest generation of the LANtest family, with an advancedcircuit design surpassing the original technology, NETfinder – Network Cable Tester With Tone Generator & Port Finder is the perfect companion to network professionals and students, for commercial and residential applications. The NETmapper – Multifunction Network Cable Tester & LAN Verifier is a unique and versatile tool for professional network administrators to quickly verifying network connectivity and get essential information from the entire network for troubleshooting. 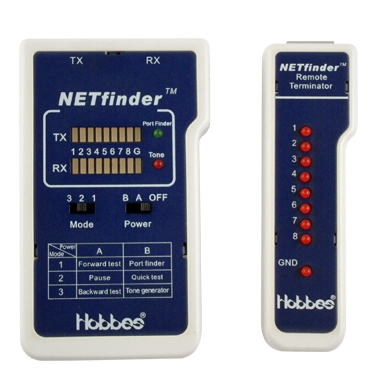 It in corporate both an on–line active network tester and an off–line cable checker. It can also check for polarity and voltage of telephone lines. 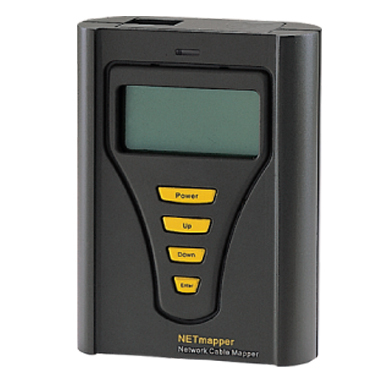 The NETmapper – Multifunction Network Cable Tester & LAN Verifier also has an analog tone generator and port–finder function for network cable and port identification. The LANID - Link Tester & Port Finder is an essential tool for verifying and trouble shooting local area networks. It is designed for network administrators to quickly diagnose problems during LAN installation and repair. Auto–Negotiation with Devices: LANID - Link Tester & Port Finder features the ethernet standard “auto–negotiation” function to obtain the operating speed for LAN devices. The “auto–negotiation” function provides automatic speed matching for multi–speed devices, allowing devicesto configure to the best possible mode of operation over a link. The port-finder feature sends discontinuity auto-negotiation signal to communicate with 10/100M hub/switch. The corresponding LED indicator on 10/100M hub/switch panel will blink. 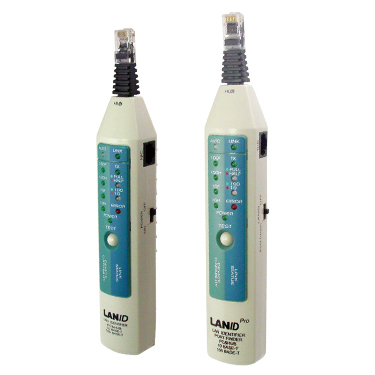 Furthermore, the LANID Pro - Link Tester & Port Finder has the same features as the LANID - Link Tester & Port Finder and is also equipped with a port-finder function to quickly identify the corresponding port location on the switch/hub.